Sign up using the form below or call 330-460-5151 to make an appointment. 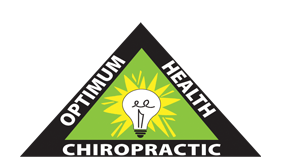 Optimum Health Chiropractic is dedicated to helping you achieve your health and wellness objectives. Using gentle and effective hands-on spinal adjustments Dr. Janét Husser and Dr. Nick Husser are committed to bringing you better health and a better way of life by teaching and practicing the true principles of chiropractic wellness care. Remember to read our patient success stories! It's Your Life... Live it in Health and Pain Free! "When I came to Optimum Health my neck hurt so bad that I couldn't turn my head. Dr. Nick worked on it and soon I began to get relief. Then I realized that my lower back was in almost as bad shape as my neck. The pain in my neck had over-ridden the pain in my back. Dr. Nick adjusted me several times until I had great relief. I now do the same things I always did -but without living on Motrin. I can't say enough about how good it feels to live pain free. I have better digestion, sleep better, better focus and I enjoy life so much more."